Everybody is talking about the 2017 Acura MDX’s immense power and high-performing drivetrain, which gives you the best in horsepower rates, torque levels, and efficiency. And it’s no secret that this car boasts some of the very best in technology to keep you entertained, connected, and safe. But did you know that the Acura MDX also gives you a gorgeous interior design, replete with an array of luxurious seating perks? Check out what we mean! What’s more, the MDX also boasts heated seats, meaning that you’re going to be able to stay as warm as possible for the remainder of the winter, while its ventilation system will keep seats as cool as possible I the hot summer sun. The MDX’s Climate Control device allows you to set the cabin’s climate to the appropriate temperature, keeping you as cool as a cucumber in the summer and hot and toasty in the winter! Last but not least, the Acura MDX comes with steering-wheel mounted controls, enabling you to run a number of its core functions without ever having to take your hands off of the wheel. Experience the 2017 Acura MDX for Yourself! There’s one more thing, though. You can explore the all new Acura MDX for yourself by paying us a visit at Rallye Acura. We’re located at 1750 Northern Blvd in Roslyn, but we can always be contacted by phone at 516-508-9147 or through this easy-to-use online form, too. 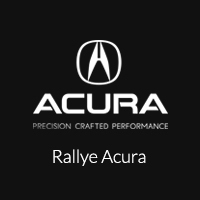 Don’t wait any longer to explore the best in luxury at Rallye Acura!